As many have noted during the years, Mostly Other People Do the Killing are a band that, while really enjoyable to listen through the medium of recorded music, come fully into their own during concerts. It’s on these occasions, in small clubs and intimate venues, that the listeners get to experience the unfiltered and unhinged impact of Moppa Elliott’s idiosyncratic vision, his often ingenious compositions, and the improvisations that Peter Evans (trumpet), Jon Irabagon (saxophone), Kevin Shea (drums, electronic effects), and Elliott himself (double bass) twist and twirl around the composed guidelines. Their approach is rooted in the past but open to the present and sometimes childishly anxious to explore the future. Hannover captures one of the quartet’s performances from early 2014 in Hannover, Germany. It’s a recording, rich in tone and with well-placed auditive cues, that both provides a snapshot of the group’s live performances and sublimates their whole career. Because of that, to talk about Hannover is to talk about this band’s entire output. 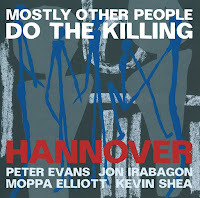 In that regard, Hannover once again demonstrates how Mostly Other People Do the Killing are an ensemble that feels and understands jazz, a collective of musicians that insist on imbuing their music with a jovial and contemporary sense, dismissing mainstream ideas of jazz as evergreen-laden, immutable, and dust covered music. Not an echo of an age long gone nor a relict of the past, but a live and alive music that simultaneously questions and cherishes its traditions and heritage. Hannover works as a fairly good approximation of the group’s live energy, as much as realistically possible for a static representation of music. The feeling of authenticity is augmented by the arrangements of the tracks which are, as is customary for Mostly Other People Do the Killing’s shows, segmented into sets and suites that flow from one composition to another, interrupted, broken into pieces, and punctuated by solo escapades and amusing detours. The result? A record that feels fragmented by the very nature of the band, yet cohesive despite the apparent disregard for structure. One segment might begin with the musicians indulging in pure swing, hard-bop or even cool jazz, but will then, on a whim, start breaking under the stress of subtly invasive anachronisms - electronic effects, solos, and improvisations akin to the aesthetics of contemporary jazz and electroacoustic music. It takes but a few beats for the musicians to jump from the honest enthusiasm of exploring jazz’s standard phrases to the deconstruction and subversion of those same licks. Yet, in all of this apparent chaos, with the group not afraid to visit pop and rock idioms, purposefulness and new structures emerge. 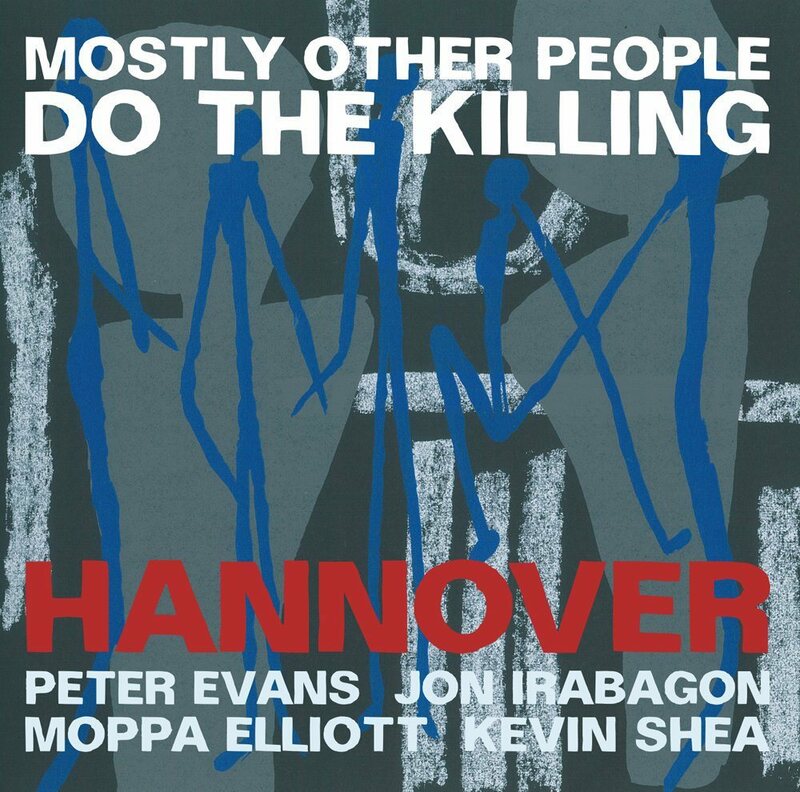 Between the uncharacteristically characteristic groove and melody on “Pen Argyl / Ulysses At Troy / Andover / Blue Ball / Effort, Patience, Diligence” and the sparkly climax on “My Delightful Muse / Hideaway / A Night In Tunisia”, Hannover gives us a chance to experience time and again the mischievous attitude exposed through Mostly Other People Do the Killing’s individual and collective explorations and the constant dichotomies of modern jazz, improvised music, and well-known jazz traditions. Very nice series of reviews, Antonio. I must admit that I was skeptical when Stabinsky replaced Evans (and after "Blue", their only album I couldn't find an access to) but the "Mauch Chunk" extract sounds very promising and your reviews are mouth-watering. They will also play close to where I live in March, I'm looking forward to seeing them again. Stabinsky is very gifted and fits right in with the rest of the guys. Plus, it brings a subtle but interesting change in sound.